The company has been a highly acclaimed Manufacturer & Supplier of Foundation Bolts. The company is actively involved in the production and marketing of a wide range of Foundation Bolts, which is inclusive of Pole Base Bolts, L Shaped Bolts, Anchor Bolts, and J Shaped Bolts. 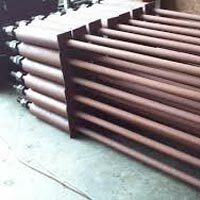 The company ensures the timely and safe delivery of the Foundation Bolts at the best prices and the qualitative aspects are thoroughly taken care of. The company has made steady progress as a Manufacturer & Supplier of Pole Base Bolts. The Pole Base Bolts are manufactured with the help of the latest techniques and best grade raw materials. 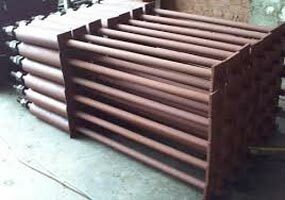 The company ensures the transit safety and timely delivery of the Pole Base Bolts, with the prices being highly competitive. These L Shaped Bolts are basically used in foundation construction works taking place in residential, commercial as well as industrial spheres. With dedication, we have emerged as a credible name to get Premium L Shaped Bolts. 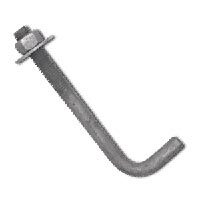 We offer these L Shaped Bolts at the market leading rates to the clients. 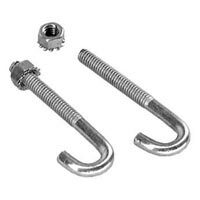 Get from us any type of Anchor Bolt that complies with the set EIL Standards. 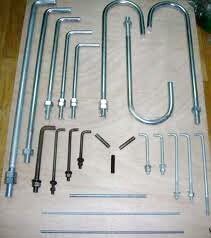 Also, these Anchor Bolts are manufactured as per the drawing samples given by clients. These Anchor Bolts are available in different lengths. 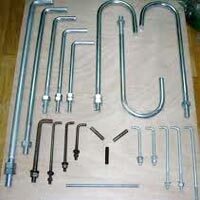 We are a reliable Manufacturer and Supplier of Anchor Bolts. Available in different finishes and lengths, these J Shaped Bolts are manufactured in confirmation to the set industrial norms. We are among the credible Manufacturers and Suppliers of a wide assortment of J Shaped Bolts. These J Shaped Bolts make an excellent Connecting Fastener.